It would’ve been hard not to notice the incredible police presence on the island from 10 a.m. to 1 p.m. on March 18. 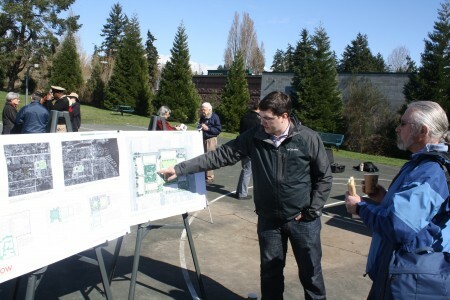 Bainbridge was the site for Kitsap County’s third “Target Zero” Task Force that utilized four Kitsap County Sheriff’s Office officers, three Bainbridge Island Police Department officers and three Washington State Patrol officers. The result: 83 tickets and 18 warnings issued. Some drivers could’ve been cited for multiple infractions, said Marsha Masters of Kitsap County’s “Target Zero” Task Force. Of the 90 contacts with drivers, officers issued 83 tickets. Police officers issued 62 speeding tickets, seven tickets for no insurance, six tickets for seat belt infractions and three equipment violations. They also wrote two tickets each for cellphone usage and “other moving violations,” as well as a ticket for a non-moving violation. Another driver was found to being compliant with an ignition interlock court order. “We did a lot school zones, which was one of the biggest focus (areas),” Bainbridge Island Police Chief Matthew Hamner said. Masters said none of the extra patrols resulted in overtime. She also noted that the non-Bainbridge officers were simply shifted from other areas in the county to focus on the island. 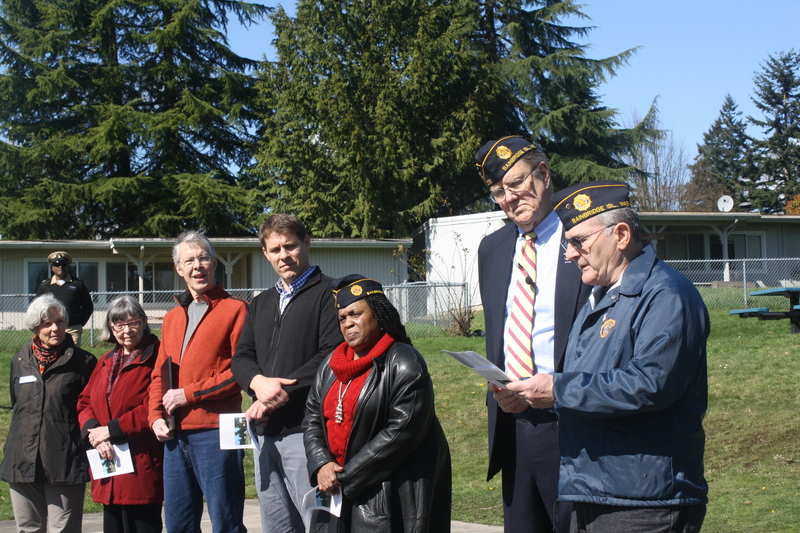 Although Masters said the county plans to regularly do “Emphasis Patrol” activities, the first two efforts were conducted last year – Bremerton (March) and Poulsbo (June). She said that Port Orchard would be the site of another “Target Zero” effort in the next couple of months. “Just play by the rules and you don’t you get penalized,” Masters said. — This story was updated at 5:25 p.m. March 28 to raise the total of speeding tickets issued to 62 and include other types of tickets issued. Anderson is also the author of “Biology of the Ubiquitous House Sparrow, from Genes to Populations” (2006), and “The Life of David Lack, Father of Evolutionary Ecology” (2013). Ted and his wife Carol have been members of Bloedel Reserve for 7 years. They live in Kingston. 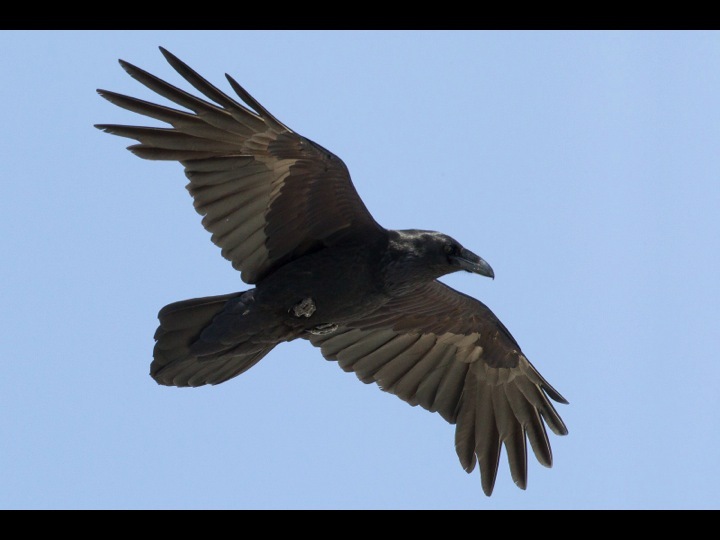 The Common Raven weighs nearly three times as much as its close relative, the Northwestern Crow. The Common Raven is the largest passerine bird, the order that includes all of the songbirds. In bird parlance the use of the term “Common” in the name usually refers to the fact that the species is found in both the New World and the Old World, a fact that is true for the Common Raven. The Common Raven is a denizen of mature forests and tundra, and has a broad North American distribution that includes much of Canada, Alaska and the western states. It is a year-round resident throughout its range. The raven is the subject of numerous legends and beliefs in the cultures of many Eurasian and North American peoples. In Greek mythology, the raven is associated with the god Apollo and with prophesy, no doubt due to the widespread appreciation of the raven’s intelligence. In many cultures the raven is associated with death, a belief reflected in Poe’s “quoth the raven, ‘Nevermore.’” Closer to home, the native peoples of the coastal Pacific Northwest have a rich tradition of raven mythology. Raven is often considered the creator of the world, but is also identified as the “trickster,” a role played by the coyote in the native cultures of the Southwest (reflected in “Wily Coyote” of cartoon fame). The Quileute of the Olympic Peninsula have a traditional story, “Raven and Eagle,” in which Eagle turns the tables on the trickster, deceiving him with tragic consequences. Although the Common Raven weighs nearly three times as much as its close relative, the Northwestern Crow, it is most easily distinguished from the latter by its vocalizations. The raven sounds like a hoarse crow. I have most frequently heard ravens calling in the vicinity of the entrance to Bloedel. The community is encouraged to wear either purple and gold or Hawaiian attire when they attend a public memorial service for Frank Kitamoto at 2 p.m. Sunday, April 6, at Woodward Middle School, Kitamoto’s sister Lilly Kodama said. “We are telling people to wear purple and gold as Frank was an ardent U of W Husky fan or Hawaiian attire as this was his favorite vacation spot,” Kodama said. 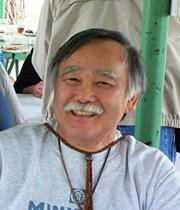 After being hospitalized for six weeks, Kitamoto died at age 74 on March 15 at a Seattle hospital. During World War II, Kitamoto was interred for three years with his family when he was just 2 years old. Kitamoto, who worked as dentist, was well known for traveling around the country informing people about the Japanese-American internment camps and his experiences. “(Frank Kitamoto was) a humble, gracious soul with (a) hearty, infectious laugh and a 1,000 watt smile that would light up the darkest room,” says Clarence Moriwaki, president of the Bainbridge Japanese American Exclusion Memorial. A serial burglar unfazed by daylight hours or locked doors and who typically uses “smash-and-grab” techniques is believed to be roaming quiet neighborhoods across the island, Bainbridge Island Police Chief Matthew Hamner said Wednesday. Guns, prescription drugs, jewelry and generally small, easily concealable items seem to be targeted by the burglar. Remote areas far from the Winslow downtown area have been burglarized, particularly places near a cemetery and removed from nearby parking. These locations would offer the burglar with a place to stage a getaway vehicle. Police believe the burglar could be casing areas in a vehicle and then returning on foot. When residents spot suspicious people and vehicles in their neighborhood, they are encouraged to call 911. Unfamiliar people coming into their driveways or yards also warrant calls. “Please don’t be hesitant to call 911 to report suspicious activity,” Hamner said. “My officers are here and ready to respond 24 hours a day. We would rather have a call turn out to be nothing than to have another one of our residents victimized. “We need the community to be our extra sets of eyes and ears in order to catch this burglar,” Hamner added. Malicious mischief: A resident living on the 200 block of Madison Avenue reported finding six street signs damaged near Finch Road and Wyatt Way. When a police officer arrived, he found a stop sign that had its wooden post broken off at the base lying in a ditch. The officer propped the sign back up and notified the city’s Public Works department to respond immediately and replace the sign. The officer also found a “stop ahead” warning and a speed limit signs pulled out. He also found two sharp curve warning signs shoved sideways and a speed limit sign pulled out on Sportsman Club Road. No suspects were found in the area. Driving with license suspended: A 21-year-old Centralia man, who was driving with three passengers, was stopped by police after they received a complaint about a suspicious vehicle driving down a long driveway in the Manzanita Road area. The vehicle was spotted at a grocery store on High School Road later by an officer. The driver had a driving while license suspended in the third degree violation and didn’t have proof of insurance. The driver and his similarly aged passengers – who were also from Centralia – said they were going down driveways “looking for the water.” The officer advised the group to stop trespassing down driveways. One of the passengers had a license issued from Kuwait and was allowed to drive the vehicle as all parties were released from the scene. Warrant – misdemeanor: A 47-year-old woman was transported to the Kitsap County Jail for a $10,000 driving while intoxicated warrant. The woman, who was well-known to police, was spotted by an officer as she rode as a passenger in a car on the High School Road roundabout with her boyfriend. The boyfriend caught the eye of the officer because he was seen talking on a cellphone as he was driving, a violation of a state law. Identity theft: A 67-year-old woman reported that someone had charged more than $700 on her debit card to a body building website that day. She had $500 in her account, so her account was now overdrawn by $200. Because the transactions were listed as pending, the woman was able to report the theft and cancel her card. Criminal trespass: A woman called police after three young boys were seen fleeing on bicycles from a barn located on the 700 block of Tiffany Meadows. When police arrived, the barn’s front doors were open and an officer found a strong odor of marijuana in each room of the barn. Two park benches that are stored in the barn during the winter were surrounded by trash from candy wrappers, Girl Scout cookies, water bottles, bags of potato chips and energy drink cans. The boys were startled at about 2 p.m. by a woman neighbor, who was walking her large dog. The dog began barking and ran toward the barn. This caused the boys to dash out of the barn and jump on their BMX-style bicycles and head toward the ferry. The boys were described to be between 12 to 15 years old. The barn sustained no damage and nothing inside appeared to be taken. The husband of the woman who had called police later in the day purchased some locks for the barn and “No Trespassing” signs. Driving under the influence: An 18-year-old man was arrested for driving under the influence-liquor after he was spotted slumped over his car’s steering wheel in front of a house on the 4000 block of Tolo Road. After regaining consciousness, the driver then drove to his residence, which was a few houses up the road. When police arrived at the driver’s home, the man’s mother answered the door. After talking to her son in another room, the teen came to the door and told officers that he had insomnia, which caused him to find it easier to sleep in a car. He also thought he fell asleep in his driveway, but when he awoke and found that he hadn’t he drove his car to his house. As the teen talked to police, an officer smelled a strong odor of alcoholic beverages on his breath. The driver denied consuming alcohol and refused multiple times to take Portable Breath Tests to determine whether he had alcohol in his system or not. Because of the man’s refusal and other objective symptoms of alcohol consumption – dry mouth, bloodshot eyes and the strong alcohol odor coming off of his breath – the teen was placed under arrest for DWI. The mother later started interfering in the investigation and told her son not to say anything as she was calling his attorney. Identity theft: A 39-year-old woman reported to police that the Internal Revenue Service informed her that she may have been a victim of identity theft. An unknown person submitted a tax return using her Social Security number. 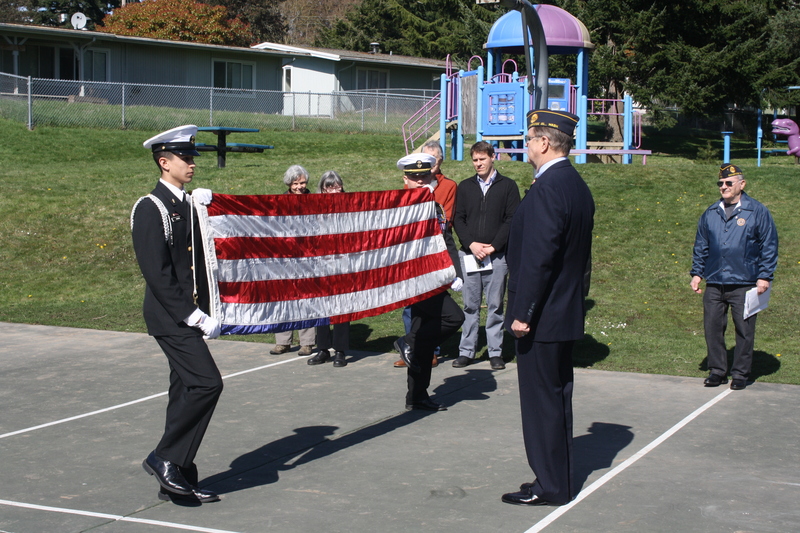 U.S. Coast Guard cutter Bainbridge Island, which was retired Tuesday. After 22 years of service mostly on the East Coast, the U.S. Coast Guard said goodbye to the 110-foot patrol boat Bainbridge Island during a farewell ceremony Tuesday in Bayonne, N.J. The boat is being decommissioned and replaced by the cutter Sitkinak, which was stationed in Miami Beach. — Now Capt. Katherine Favery Tiongson was the first minority woman to serve as a boat’s commanding officer in 1991. — In 1999, it was part of the search for John F. Kennedy Jr.’s plane after it went missing and later discovered to have crashed into Long Island Sound. — It supported Operation Iraqi Freedom in 2003 for a six-month deployment by providing security for ships crossing the Mediterranean Sea between the Strait of Gibraltar and the Suez Canal. — The boat helped in the search of EgyptAir 900, which crashed in the Atlanta Ocean, just south of Nantucket Island, on Halloween 2003. The disaster took the lives of all 217 people aboard. 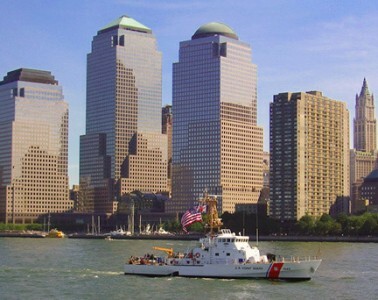 — Lastly, the Bainbridge Island assisted in search and rescue after Hurricane Sandy made landfall in southern New Jersey in 2012. Suspicious persons-situations: A 29-year-old woman employee of a cafe located on the 10000 block of Valley Road reported as she arrived at work at 6:15 a.m. she saw a man standing in front of the door of the business that faces Valley Road. The man, described as having a medium to heavy build, wearing a jacket and baseball hat, had his hands cupped beside his face to look into the window of the business. The business was closed at the time and its lights were out. The man then left in a white small S-10 Chevrolet Blazer that was dirty and about 15 years old. The employee’s boss requested that she report the incident to police due to recent break-ins in the area. Identity theft: A man living on the 10000 block of Roberts Road was notified by the Internal Revenue Service that he was a victim of tax fraud. Identity theft: A woman who works as a substitute teacher at St. Cecilla’s Catholic School on the 1300 block of Madison Avenue reported that her social security number was compromised. She said she found out from the Internal Revenue Service after the Seattle Archdiocese’s reporting of tax fraud victims. The school is under the umbrella of the Seattle Archdiocese. Robbery and assault: A 20-year-old man who lives on the 5000 block of McDonald Avenue was caught stealing from a grocery store on the 200 block of High School Road. The man was recognized for previously assaulting an employee in another shoplifting incident in August 2013. Prior to police arriving, the suspect had become combative with store employees and was actively fighting with them as he tried to escape. When a store employee first saw the suspect, the man was looking suspicious and had a bottle of whiskey fall from his pants leg. As an employee told the suspect to not run, the suspect was grabbed by the employee and the suspect bit the employee’s left triceps area for nearly 10 seconds in the struggle. The employee declined medical help for his injuries. Champagne bottles were also recovered from the suspect and returned to the store. The suspect was transported to Kitsap County Jail without incident for robbery in the second degree with a $25,000 bail and assault in the fourth degree with a $5,000 bail. The suspect told police he is a transient that sometimes stays with his mother on the island. Burglary: A 47-year-old Edmonds man was arrested for burglary, resisting arrest and possession of drug paraphernalia. The suspect was seen entering a garage that had two boats on the 200 block of Madison Avenue and was still inside when police arrived. Three police entered the garage with guns drawn and soon surmised the suspect was hiding in one of the boats that had a portion of its canvas covering unsnapped. When the suspect was non-compliant and officers saw him place his right hand downward and out of view, police felt an immediate threat and a Taser was deployed on the suspect. During the pat down of the suspect, police found a rubber tie-off used to assist in injecting narcotics intravenously. In the suspect’s belongings, police found more drug paraphernalia and a business card for a Tukwila pawn shop where the man sold a Dell laptop computer for $200 in January. Through a police computer search, the suspect had pawned at least five items since May 2013, including a snowboard and four Dell laptop computers. Mail theft: A postman said he delivered mail to a home business located on the 9400 block of Holly Farm Lane, but the mail was missing by the time the woman homeowner arrived. Police report that there has been considerable thefts from the location. Mailbox theft: A woman living on the 8400 block of Hansen Road reported possible mail theft as she provided police with an empty “Priority Mail” envelope that had been ripped open but not along the seams. The mail is generally delivered at 3 p.m. Saturdays and the woman opened her mailbox at 10 p.m. The only piece of mail known to be missing was a rebate check from Costco for $825. The woman had canceled the check. Harassing phone call: A 33-year-old woman reported receiving phone calls and text messages from a man who was threatening her. She told the man to leave her alone and he continued to text and threaten her. The suspect has a record of physically abusing women and served time for drugs. Vehicle prowling: A 21-year-old Sequim man reported that someone forced entry into his vehicle while it was parked on the 400 block of Olympic Drive. The suspect used an unknown tool to break the ignition in an attempt to steal the man’s car, but because the vehicle was equipped with a “kill switch” the suspect was unsuccessful. The man secured his car at noon in a parking lot, but when he arrived at 8:15 p.m. he saw the dome light on and found the door unlocked. The man found damage to the rear panel of the vehicle and above the ignition, where he estimated it would cost $500 to repair. An officer searched the vehicle for latent prints but was met with a negative result. Electronics and loose change were not taken from the car. Officers later discovered that a similar vehicle was stolen from the same parking lot during the same time frame. Vehicle theft: A 40-year-old Sequim man reported at 8:35 p.m. that his green 2000 Honda Civic had been stolen from a parking lot on the 400 block of Olympic Drive. The man told police that keys were not with the vehicle and car payments weren’t delinquent. Identity theft: A woman living on the 700 block of Moji Lane reported that she was denied being able to open a new checking account after she realized someone had used her name, social security number and driver’s license number to open credit card accounts without her consent or knowledge. A credit report showed several accounts and collections that she knew nothing about. Theft: A 32-year-old man who parked his car at the Day Road Park N Ride at 5 a.m. returned to his car at 8:30 p.m. and found that someone had broken into his vehicle. The suspect stole a camera used for his ignition interlock device. When the man returned to his vehicle he noticed that his car’s door opened without his key. The only thing missing from the car was the interlock camera. The man, who used the parking lot to catch a ferry with his boss, doesn’t plan to use the parking lot again. Hit and run-unattended property damage: A 72-year-old man noticed his vehicle had a 2-inch-by-2-inch hole in the license plate on his front bumper. The hole may have come from another vehicle’s hitch. The man said he had parked his car at a Winslow grocery store and later went to the Bainbridge Island Aquatic Center. This is the third of 9 entries in a column about reporter Ethan Fowler’s participation in the Bainbridge Island Police Department’s 10-week Citizens’ Police Academy. Senior Police Clerk Barbara Seitz said her four plus years working at the Bainbridge Island P.D. has proven the “most interesting, engaging and fun” job she has ever held. Seitz was one of three people who spoke at last Tuesday’s third class in the Citizens’ Police Academy. She was followed by Bainbridge Fire Marshall Luke Carpenter and psychologist Dr. Ted Rosenbaum closed the night by talking about the programs in place to help officers and firefighters cope with some of the grim sights they see as part of their work. Seitz told the group she daily helps an average of 20 people who visit the police station. Concealed weapon permits, copies of incident reports, finger printing and dog licenses are some of things she handles. Paper record retention ranges from five years for driving while license suspended arrests, 10 years for driving while intoxicated, 50 years for traffic fatalities and 75 years for missing person cases. Files that are saved electronically are never deleted, which helps officers in the field when they view a person’s record. Sexual offenses or allegations, mental health and cases still under investigation are some of the incident reports that aren’t released to media outlets when people like me compile the weekly police blotter. Carpenter said Bainbridge firefighters are all trained as emergency medical technicians and that each firefighter is required to take training classes for the rest of his career each Tuesday. Station 21 on Madison Avenue always has a minimum staff of at least four firefighters, Station 22 on Bucklin Hill Road has two people on staff always and Station 23 on Phelps Road isn’t staffed. However, Station 23 is where Carpenter works from and it’s also where they assign firefighters when they have extra staff from the other two stations. 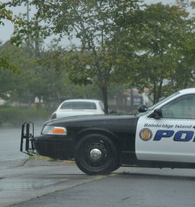 The Bainbridge Fire Department receives about 2,500 calls for service annually. These range from building fires to cat-in-the-tree calls. Carpenter said the department does hire some of its full-time staff from its volunteer resident program, which are provided with living accommodations and guaranteed shift assignments. He said a volunteer from Olympia is able to pull off the long commute because firefighters work 48-hour shifts but then are off the next four days. “It doesn’t happen often when we can sleep at night,” Carpenter said of a work shift. The fire department treats about 12-16 heart attack victims a year. Within 90 seconds of being alerted by dispatch about an emergency, firefighters try to have tires on the road. The average response time for the Bainbridge Fire Department is 6 1/2 minutes and “we like to be lower than that,” Carpenter added. He suggested for homeowners to come by one of the island’s fire stations to get a blue and white reflective sign to help increase address visibility. The police department also provides the signs, Officer Carla Silas said. With not a lot of time left in the scheduled two-hour class, Rosenbaum quickly went through a PowerPoint presentation on how they screen police applicants. They seek future officers who are dominant and not domineering. Applicants typically require 3-4 hours of writing for one of his tests. People who try to list themselves “too positively” tends to make his “radar” go up, Rosenbaum said. Combating stress or strain is a key factor for both the well-being of police and fire staff, both of which Rosenbaum works for on the island. Responders who have long-term effects from stress often have declining work performance, deteriorating family relationships, increased health problems and other issues. To help defuse a stressful or unsettling emergency call, Rosenbaum said within 24 hours of the incident he will discuss concerns that an officer or firefighter may have. The formal process of Critical Incident Stress Debriefing helps to reduce the amount of time a responder needs to recover. However, with a catastrophe like Sept. 11, 2001, such steps likely won’t be adequate enough. “There’s not as much stigma as there used to be with these meetings,” said Rosenbaum, who also works with spouses of emergency personnel. Next: Our class will learn about the municipal court process with new Bainbridge Island Municipal Court Judge Sara L. McCulloch, who took her oath of office in December. My wife and I took advantage of a sunny Wednesday morning last week to enjoy a leisurely stroll through the Bloedel Reserve. The most conspicuous bird species, besides the many ducks and geese, was the Dark-eyed Junco (Junco hyemalis). We observed several individuals foraging on or near the paths as we walked, and the rather metallic and desultory trill, all at one pitch, that constitutes the male’s song at several places in the reserve. The Dark-eyed Junco occurs throughout North America, and like many such species, it shows considerable variation across this extensive range. In the Pacific Northwest, where the species is a year-round resident, male juncos have a black hood that covers the head and chest, a brownish back, rufous flanks, gray rump and tail, and white underparts as well a white beak and white outer tail feathers. In females the hood is dark gray rather than black. In eastern North America juncos are migratory, breeding primarily in Canada and the northernmost states, and spending their winters in central and southern states. There the species is uniformly slate-colored except for the white underparts, beak and outer tail feathers. Audubon referred to the species as the “Snow-bird,” and many Easterners still call it the snowbird. The Dark-eyed Junco has been a research subject in many ecological, behavioral and physiological studies. Arguably the most groundbreaking such study was published by the Canadian physiologist William Rowan in 1925. Rowan kept juncos in outdoor aviaries in Alberta throughout the winter with nighttime temperatures dropping to as low as minus 50 degrees. He artificially increased the day length in one cage with two 50-watt light bulbs, while the second cage served as a control on natural day lengths. In a few weeks the juncos in the cage with increased day length began preparations for breeding in the dead of winter, while those in the other cage did not. Rowan suggested that day length, or photoperiod, was the environmental cue that triggered the timing of migration and reproduction in the species. Many follow-up studies on numerous species of birds confirmed this conclusion and demonstrated the existence of an internal biological clock (circadian rhythm) in birds and most other organisms, including humans. Studies on birds identified the role of melatonin in the regulation of the circadian rhythm, a fact that has led to the use of melatonin to alleviate the effects of jet-lag in humans. Theft in third degree: A man living on the 7800 block of Spring Ridge Road responded to a burglary. While en route to respond to the call, officers observed a vehicle matching the description of the suspected vehicle. The 20-year-old Peninsula man driving the suspected vehicle tried to elude officers but was later stopped. The driver was arrested for criminal trespass in the second degree, theft in the third degree, driving on a suspended driver’s license, reckless driving and displaying a disfigured plate with a fictitious year tab affixed that was hand drawn and colored with a crayon. A 19-year-old male passenger in the vehicle had three warrants out of Kitsap County. The third occupant was released. The driver and the passenger with the warrants were booked at Kitsap County Jail and their vehicle was impounded. The bail for the driver was set at $15,000 and passenger $6,000. Pictures of the stolen evidence were placed into evidence. Identity theft: A man living on 10000 block of Lafayette Avenue reported his credit card had been used fraudulently in Stone Mountain, Ga., for more than $8,000 in his checking and $6,000 from his savings account. Documents from the man’s bank indicated 17 purchases of more than $505.95 each at Kroger grocery store in Stone Mountain. Stolen bicycle: A man living on 9100 block of Northtown Drive reported that his Kona brand 18-speed hybrid road bike with black and red handlebars was stolen from his front porch between 6 and 8 p.m. The bike is two years old and valued at $2,700. Boat theft: A man living on the 200 block of Parfitt Way reported that the dock box on the foredeck of his boat was missing. The deck box contains four folding chairs that were also missing. Later that day, the man found a small children’s table in the trash dumpster. He recovered the table and returned it to his boat. Driving while license suspended: A 39-year-old man living on the 100 block of Lovell Avenue was stopped in a grocery store parking lot on Winslow Way. He was pulled over because his driver’s license was suspended in the second degree as a result of a driving while intoxicated charge. Found property: A woman brought a ring of keys she found hanging on a limb of a bush at the corner of Winslow Way and Lovell Avenue a couple weeks ago. Animal at large, harassment: Two dogs got loose and killed two neighborhood chickens that lived at a home on the 9500 block of Lovgren Road and two other chickens that also lived on Lovgren. The owner of the dogs who lives at 9400 Eric Place called the police stating that he was being harassed and threatened by the owner of the chickens. The dogs were a wolf-husky hybrid. The officer contacted the Kitsap County Animal Control. Spotted Towhees almost exclusively forage on the ground. It looks like a typical March week of persistent rain may keep many from visiting Bloedel for the next few days. I will therefore focus this week on a year-round resident of Bloedel that is also a common yard bird in the Pacific Northwest, the Spotted Towhee. The towhee is actually a sparrow, a large family of predominantly ground foraging, seed eating birds that also includes the juncos. 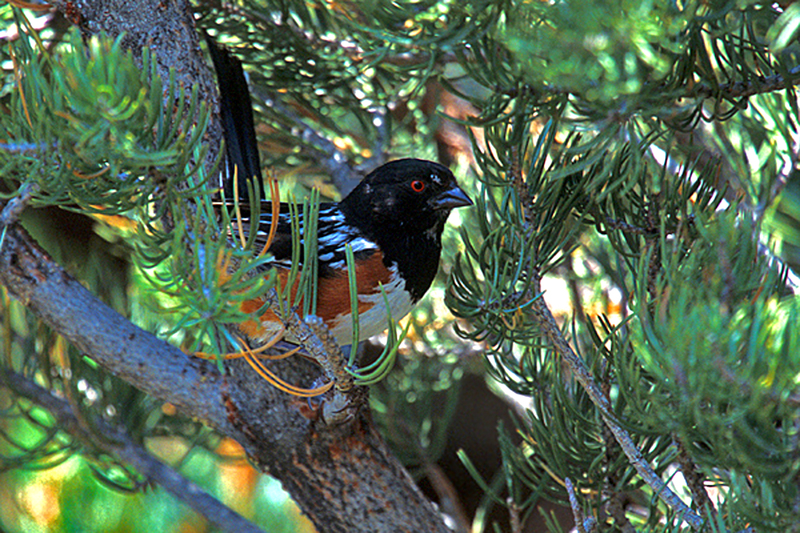 The name “towhee” actually comes from a cousin of the Spotted Towhee, the Eastern Towhee, that resides in eastern North America. That species has a unique alarm call that sounds as if is coming out of a well that has been described as “towhee” or “chewink,” with the emphasis on the second syllable. Spotted Towhees forage almost exclusively on the ground, vigorously scratching in the leaf litter in search of small insects, seeds and berries. When I see that the mulch has been kicked out of one of our gardens onto the sidewalk, I know that a towhee has been foraging there recently. The song of the Eastern Towhee is often described as “drink your teeeeeeeeeeeea,” the second note lower than the first and the trill that follows. The song of the Spotted Towhee is similar, but lacks the “drink.” Listen for the melodious trill as you walk along the forested paths in Bloedel. When you hear a male singing, stop and search for this beautiful songster, which is usually perched at about eye level not far from the path.